Harvest 2015 is underway! To fully appreciate the art of winemaking, VAULT29 is taking you behind the scenes during the busiest - and most exciting - time of year in wine country. 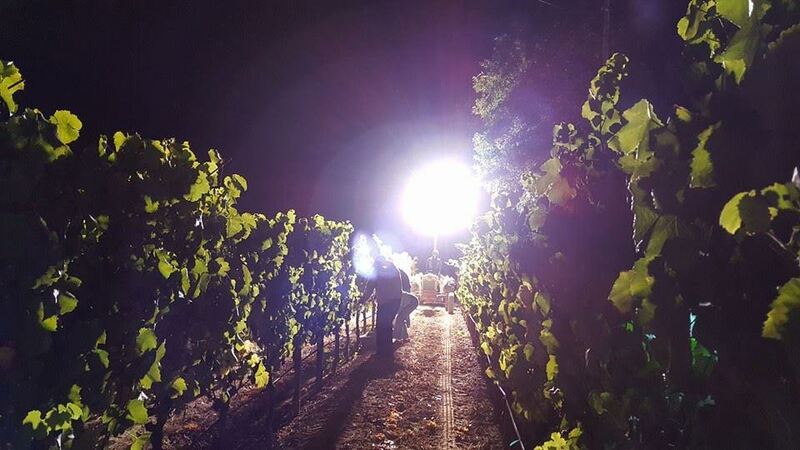 Check out the perspective from Emeritus, as we take a quick look into night harvest effort of pinot noir at Hallberg Ranch in Sonoma County's Goldridge. Why harvest at night? Because the dark sky brings cool temperatures which protects the compositional integrity of the fruit. Generally speaking, bringing in the grapes at night when they are cool allows for better aromatics, acidity and sugar levels. Picking at night is also much more pleasant for harvest crews, minus the lack of sleep, who can suffer from dehydration and/or fatigue on hot days. Champagne toast on the last day of harvest – still lots of work to get wine into barrels but the cellar crew is toasting the last fruit coming into the winery. For more insights into Harvest 2015 at Emeritus, click here.